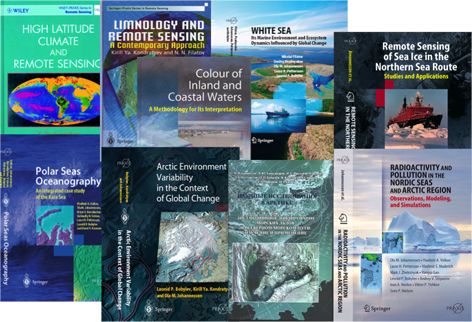 Some Nansen Centers book publications published by Springer-Praxis. The strategy of the Nansen Center emphasize communication of the results and knowledge of our research as a duty to the society. After high quality scientific results and peer review publications the Nansen Center highly prioritizes public outreach and dissemination of our scientific results. 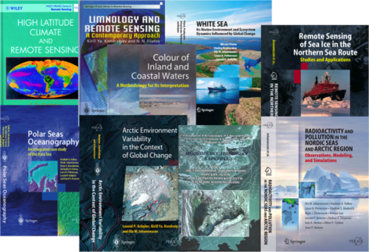 Books are published on major scientific research areas and in cooperation with the others, including the Nansen Centers´s Polar series of books published by Springer-Praxis. Below you find the latest news and press releases from the Nansen Center, public outreach material and articles from the Center, as well as links to news about our staff and scientific activities. In the Arctica cinema our scientists give public lectures and can show the movie Svalbard Arctic Seasons and the slide show Eventyrlyst (A Sense of Adventure) about the life and achievements of Dr. Fridtjof Nansen. School classes, industry, public bodies and the public in general often asks for visiting Arctica.